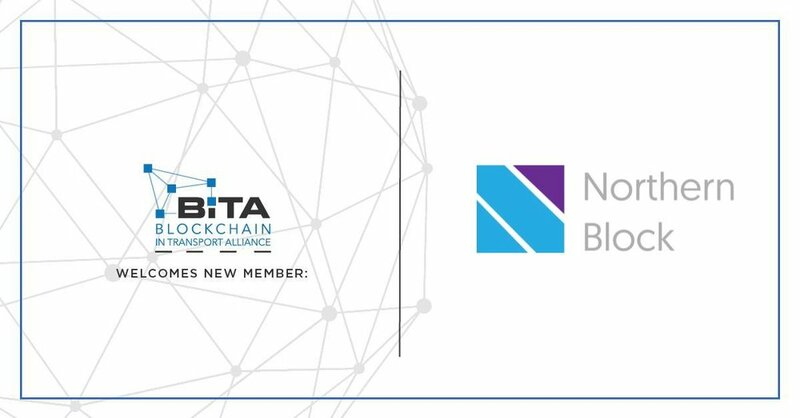 Northern Block, a Toronto-based blockchain product venture shop, has joined the Blockchain in Transport Alliance (BiTA), an organization dedicated to determining best practices and standards for blockchain in the transportation/logistics/supply chain marketplace. The Alliance seeks to provide more clarity and education around blockchain applications and encourage its adoption through exemplary implementation. “In the transportation and logistics industries, there are many players involved, which results in complexities for tracking the provenance and quality of goods throughout the value chain. This granularity of transparency becomes crucial, especially in strict regulatory and compliance-heavy environments,” said Mathieu Glaude, President and CEO of Northern Block. According to BiTA President Chris Burruss, “Blockchain can transform the supply chain by improving transparency and innovation. On behalf of the members of BiTA, I welcome Northern Block into the Alliance. Northern Block’s expertise across multiple industries will help speed the development of blockchain standards.” BiTA’s standards will address the stewardship of smart contracts, freight payments, asset maintenance and ownership history, chain of custody of freight and other issues facing the transportation and logistics industry. “We’re surrounding ourselves with the brightest people who want to change the world. We’re determined to use blockchain technologies to design systems that will ultimately give data ownership back to the end user,” added Glaude. Founded in August 2017, BiTA has grown into the largest commercial blockchain alliance in the world, with more than 470 members that collectively generate over $1 trillion in revenue annually. BiTA members are primarily from the freight, transportation, logistics and affiliated industries. Alliance members share a common mission to develop a standards framework, educate the market on blockchain applications and encourage the use of those applications. BiTA has offices in: Chattanooga, Tennessee (USA); Sydney, Australia (Asia-Pacific Region) and London (European Region). For more information, please visit the BiTA website at www.bita.studio/.